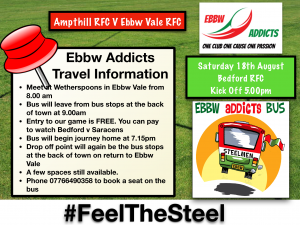 The Addicts will be running a weekend trip to RGC on Saturday 15th September. After a short break at the hotel, the group will travel to Parc Eirias for the game. On the Sunday morning, the group will have breakfast at the hotel before leaving for Ebbw Vale at 10am. A non-refundable deposit of £40 will need to be paid when places are booked on the trip. 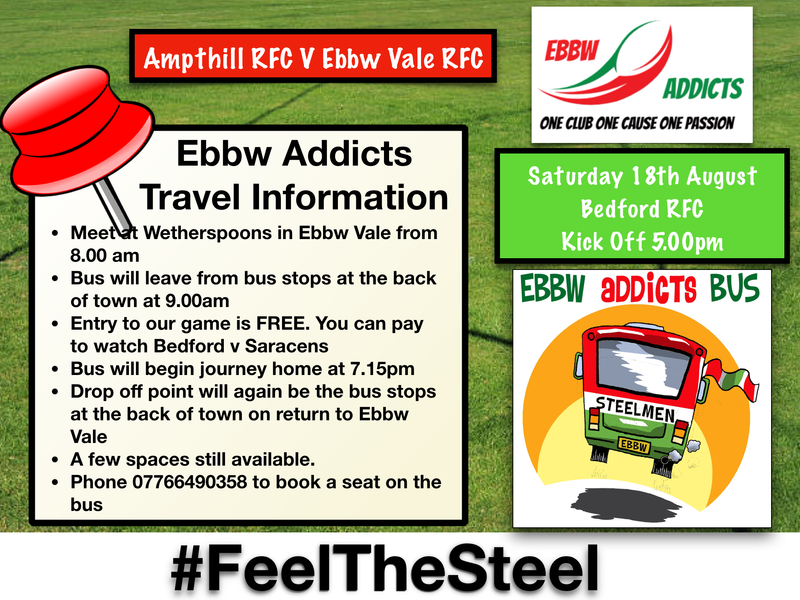 The Addicts will be organising a bus to the above match. The plan us to meet at Wetherspoon’s at 8am for breakfast before leaving for Brixham at 9am.